In Brad Thor's highest-voltage thriller to date, Scot Harvath must race to locate an ancient secret that has the power to stop militant Islam dead in its tracks. June 632 A.D.: Deep within the Uranah Valley of Mount Arafat in Mecca, the Prophet Mohammed shares with his closest companions a final and startling revelation. Within days, he is assassinated. September 1789: U.S. minister to France Thomas Jefferson, charged with forging a truce with the violent Muslim pirates of the Barbary Coast, makes a shocking discovery - one that could forever impact the world's relationship with Islam. Present day: When a car bomb explodes outside a Parisian café, Navy Seal turned covert Homeland Security Operative Scot Harvath is thrust back into the life he has tried so desperately to leave behind. Saving the intended victim of the attack, Harvath becomes party to an amazing and perilous race to uncover a secret so powerful that militant Islam could be defeated once and for all without firing another shot, dropping another bomb, or launching another covert action. But there are powerful men who are determined that Mohammed's mysterious final revelation continue to remain hidden forever. Hailed by the Chicago Tribune as "quite possibly the next coming of Robert Ludlum," Brad Thor takes listeners across the globe on a heart-pounding chase where the stakes are higher than they have ever been before. To say that New York Times bestselling author Brad Thor is a most interesting person would be an understatement. He has accomplished many things since his graduation from the University of Southern California, where he studied writing, film, and television production. Before he began writing his very successful and quite lengthy list of novels, he was the award winning producer of the PBS series, Traveling Lite. After beginning his career as a novelist, he has been given the distinction of being an American thriller novelist. His most current books, Act of War and Code of Conduct have been given very high critical acclaim. Along with his busy writing career, he is also a 2016 Independent Presidential candidate. Thor is a member of the well-known conservative think tank group, The Heritage Foundation, and has spoken during their meetings on a subject of which he is very passionate......a strong missile defense system. Thor is a frequent guest on news programs and also Glenn Beck and The Blaze. He is frequently commenting on the subject of terrorism, and is commonly asked how his novels rate for accuracy in covering terrorist issues. He reportedly traveled with a Black ops team in Afghanistan to give accurate descriptions of the conflicts in his book, The Apostle. 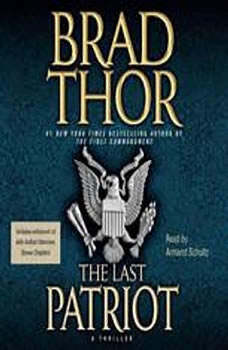 Glenn Beck once gave an ominous prediction that Thor could potentially be the object of assassination by Muslim extremists because of the content of his book The Last Patriot. That novel was nominated for "Best Thriller Novel of the Year" by the International Thriller Writer's Association. Thor lives in Nashville. He recently made negative, speculative comments about Donald Trump.......comments which he has since dialed back. Warner Brothers purchased the rights to the Scot Harvath series of thrillers and Thor's The Athena Project, with intentions to develop movie franchises for themselves.